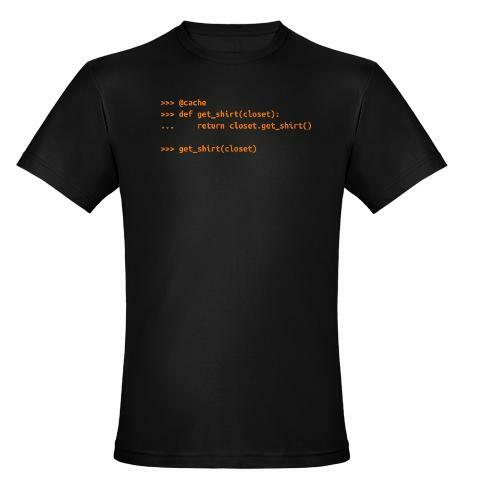 I messed around with Cafepress last night creating a shirt that I will probably use as a prize at my PyCon Intermediate Hands-On Tutorial. It has a pretty good decorator on the back. 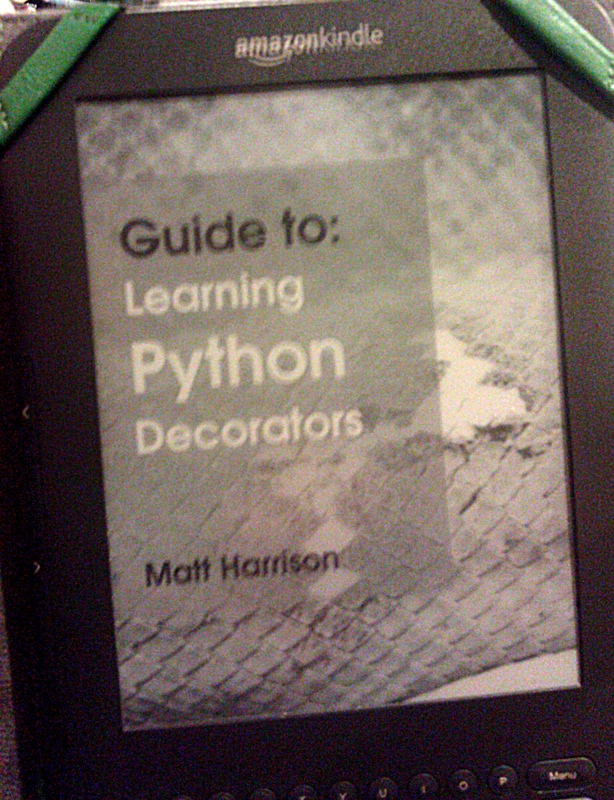 "Amazon KDP Non-Fiction Week 2 Update"
"Amazon KDP Week 1 Update"
I am one week into the Amazon KDP non-fiction experiment with my books. 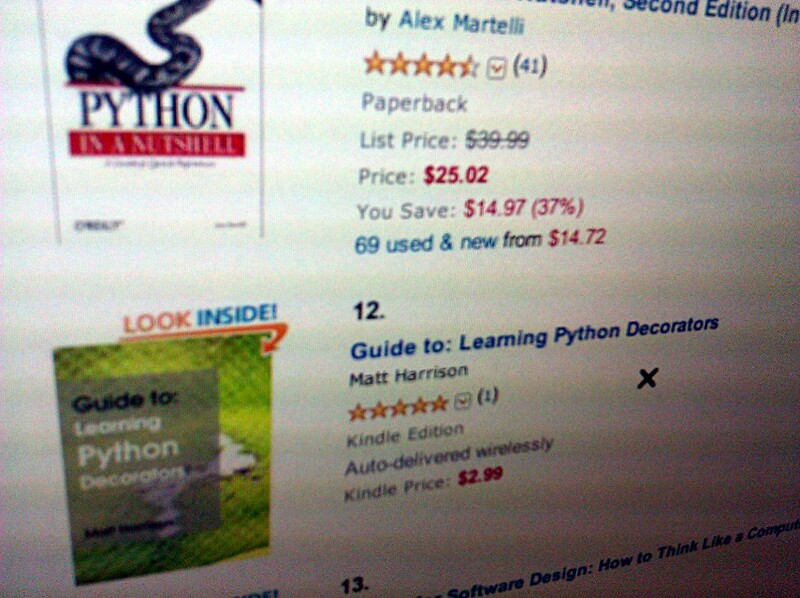 Guide to: Learning Python Decorators is currently #12 on the Python list.